JamJar are proud to present our new Scodix Business Cards, using brand new, cutting edge technology. 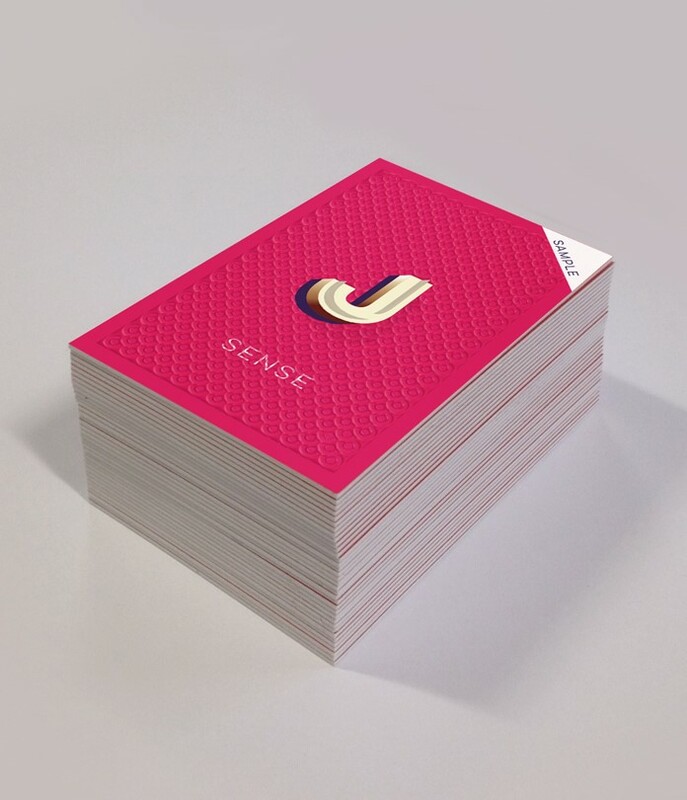 Without the need for multiple dies and make-readies, Scodix Sense allows gloss textures, spot gloss UV and embossed effects, with superb accuracy and an impressive finish. Full colour both sides (lithographically printed), 55x85mm, 600gsm silk, matt lamination both sides, Scodix Sense to one side. Prices subject to VAT.